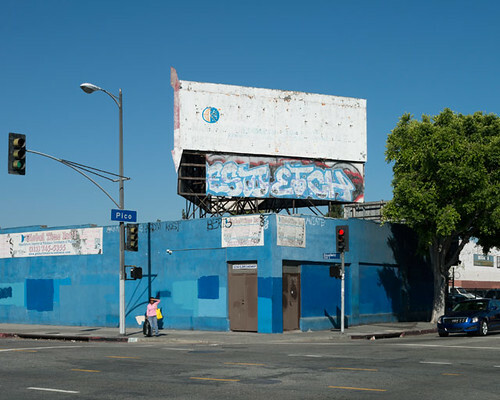 1250 South Broadway, Pico Boulevard, 2013, by John Humble. Part of the artist’s solo show, Pico Boulevard, at Craig Krull Gallery. Through February 22, at Bergamot Station in Santa Monica. NYC: Eyebeam Presents: 2014 Annual Showcase, at Eyebeam. Through February 1, in Chelsea. NYC: Andisheh Avini, at Marianne Boesky Gallery. Through February 15, in Chelsea. 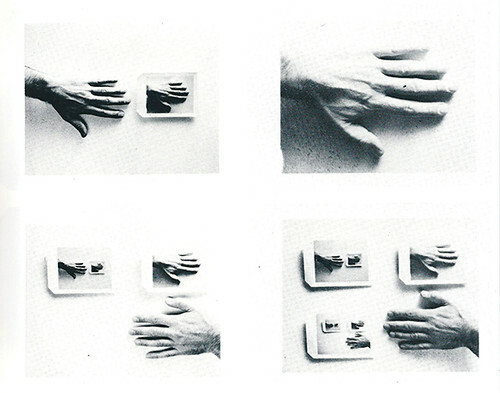 NYC: The Wayland Rudd Collection, a project organized by Yevgeniy Fiks, at Winkleman Gallery. Through February 15, in Chelsea. NYC: Grounded, at Pace Gallery. Through February 22, on 25th Street in Chelsea. 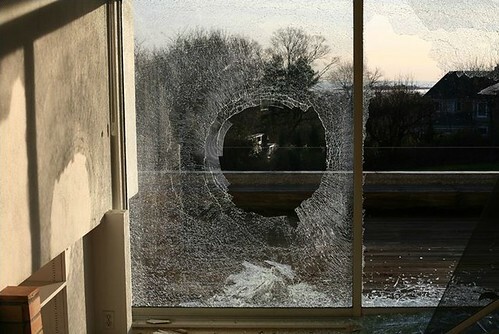 NYC: Duke Riley, See You At the Finish Line, at Magnan Metz Gallery. Extended through January 25, in Chelsea. NYC: Con/Text, at Lync Tham. Through February 16, on the Lower East Side. NYC: Outside In, at Life on Mars. Through March 1, in Bushwick. NYC: Piero della Francesca, Personal Encounters, at the Metropolitan Museum of Art. Through March 30, on the Upper East Side. 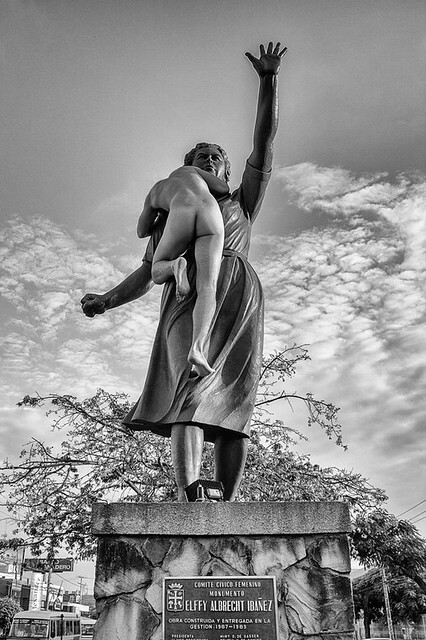 Fort Lauderdale: The Movement: Bob Adelman and Civil Rights Era Photography, at the Museum of Art Fort Lauderdale. Through May 17, in downtown. Austin: Charles Long, at The Contemporary. Through April 20, at Laguna Gloria and the Jones Center. Torrance, Calif.: Reverb: Music as Both Inspiration and Content in Contemporary Art, at the Torrance Art Museum. Through March 8. Santa Ana, Calif.: Julianne Swartz and Ken Landauer, Miracle Report, at the Grand Central Art Center. Through May 11, in Downtown. NYC: The Age of Small Things, at Dodge Gallery. Opens Saturday, on the Lower East Side. NYC: Alex Prager, Face in the Crowd, at Lehmann Maupin. Opens today, on the Lower East Side. NYC: Liz Glynn, On the Possibility of Salvage, at Paula Cooper Gallery. Opens Saturday, in Chelsea. NYC: Between the Lines, at Tanya Bonakdar Gallery. Opens today, in Chelsea. NYC: Stan Douglas, Luanda-Kinshasa, at David Zwirner. Opens Thursday at 6pm, on 19th Street, in Chelsea. NYC: Ted Gahl, Sundays (Like the Brightest Light in the Theatre Shining on an Empty Stage), at Dodge Gallery. Open Saturday, on the Lower East Side. NYC: Joseph Beuys, Process: 1971-1985, at Rooster Gallery. Through February 9, on the Lower East Side. NYC: Stay in Love, curated by Chris Sharp, at Laurel Gitlen. Through February 2, on the Lower East Side. NYC: A Chromatic Loss, at Bortolami. Opens Thursday at 6pm, in Chelsea. NYC: Idiom 1, at Pierogi Gallery. Opens Friday at 7pm, in Williamsburg. 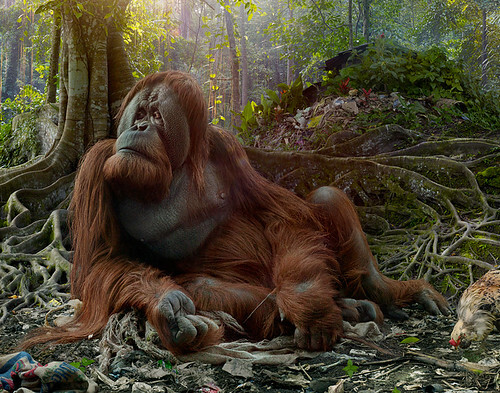 NYC: Judith Braun, Linda Herritt and Oriane Stender, at Valentine Gallery. Opens Friday at 6pm, in Ridgewood/Bushwick. 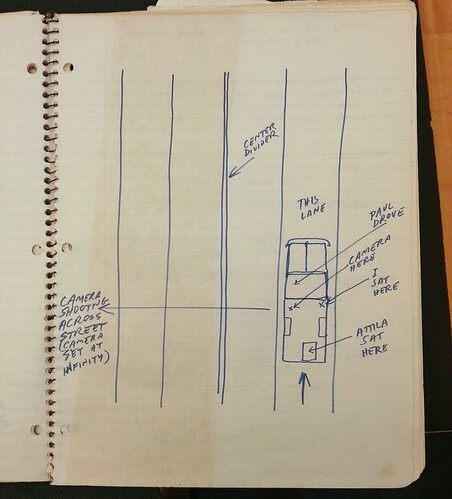 L.A.: Forensic Topology, a talk by Geoff Manaugh, at Machine Project. This Friday at 8pm, in Echo Park. L.A.: Liz Larner, at Regen Projects. Opens Saturday, in Hollywood. L.A.: Gavin Kenyon, at Blum & Poe. Opens Saturday, in Culver City. L.A.: Yassi Mazandi, Flowers, at Maloney Fine Arts. Opens Saturday at 6pm, in Culver City. L.A.: LA Recent Abstract Painting, at Red Pipe Gallery. Opens Saturday at 7pm, in Chinatown. L.A.: Ramiro Gomez, Domestic Scenes, at Charlie James Gallery. Opens Saturday at 7pm, in Chinatown. L.A.: Two Johns and a Whore, with John Fleck, John Roecker and many others, at Coagula Curatorial. Opens Saturday at 7pm, in Chinatown. L.A.: Bia Gayotto, Somewhere in Between: Silicon Valley, 2012, at Monte Vista Projects. Opens Saturday, in Highland Park. L.A.: Jonas N.T. Becker, Zol Zayn/What If?, at Shulamit Gallery. Opens Saturday, in Venice. L.A.: Animation for Adults, a film festival organized by the American Cinematheque. Through January 25 at the Egyptian Theatre, in Hollwyood. Paris: Stefano Ricci, L’histoire de l’ours, at Galerie Martel. Opens Friday. Plus: Christian Viveros-Fauné wraps up a very dirty year. Happy 2014! NYC: Edward Steichen in the 1920s and 1930s: A Recent Acquisition, at the Whitney Museum. Opens Friday. NYC: Rafaël Rozendaal, Everything You See is in the Past, and Casting a Wide Net: A Cross Generational Exhibition of Media Art, at Postmasters Gallery. Through January 18, in Tribeca. NYC: Charles Burchfield, American Landscapes, at DC Moore Gallery. Through December 21, in Chelsea. NYC: Guts, a group show, at the Abrons Arts Center. Opens this Friday at 6pm, on the Lower East Side. NYC: Serve the People: The Asian American Movement in New York, at the Interference Archive. Opens Thursday at 7pm, in Gowanus. Miami: Permission To Be Global/Prácticas Globales: Latin American Art from the Ella Fontanals-Cisneros Collection, at CIFO. Opens this week, in the Wynwood District. Miami: Looking at Process, at the De La Cruz Collection. In the Wynwood District. Miami: 28 Chinese, at the Rubell Family Collection. Opens today, in the Wynwood District. Miami: Tracey Emin: Angel Without You, at the Museum of Contemporary Art. Opens today, in North Miami. L.A.: Hammer Conversations: Diana Nyad and Catherine Opie, at the Hammer Museum. Today, in Westwood. Plus: Tickets are now on sale for Martin Creed’s Work No. 1020 at The Kitchen in NYC. Performances run from December 12 to 14. Grotesque Seduction: The Photographs of Tod Seelie. Bright Nights, by Seelie, was just published by Prestel. 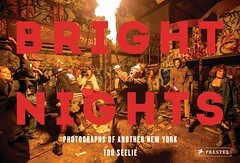 In the mail today came a book I am super ecstatic about: Tod Seelie’s Bright Nights, which gathers all of his New York photographs into one handy tome. Even as the city becomes a monochromatic carpet of condos and faux retro watering holes, Bright Nights is a reminder that even at its most Bloombergian New York has always retained pockets of creative chaos (and hopefully always will). This book is a tribute to those pockets — and all the bloody noses that come with it. What’s more, I got to write an essay for this baby, which I’m pretty dang proud of. (Thank you, Jeff Stark, for the mad editing skills.) I’ve been an admirer of Tod’s work for years, from the time his images first started to pop up on Flickr years ago. I’ve long been enthralled by what they covered: under-the-radar events like Bike Kill, Japanther concerts, vogue-ing competitions and journeys made by Swoon on her flotilla of hand-made rafts. But it’s his framing and his sense of color that makes his work rise above simple documentation. It was a thrill to be able to contribute a few words to the spaces between the pictures. So go out and get the book! And while you’re at it, check out Tod’s website, his Instagram, and his Twitter. NYC: The Fashion World of Jean Paul Gaultier: From the Sidewalk to the Catwalk, at the Brooklyn Museum. Opens Friday. NYC: Leonardo da Vinci: Treasures from the Biblioteca Reale, Turin, at the Morgan Library & Museum. Opens Friday, in Midtown. NYC: Vietnam: The Real War — A Photographic History from the Associated Press, at Steven Kasher Gallery. Opens Thursday at 6pm, in Chelsea. NYC: Sandra Cinto, at Tanya Bonakdar. Opens Thursday, in Chelsea. NYC: Alison Elizabeth Taylor: Surface Tension, at James Cohan Gallery. Opens Thursday, in Chelsea. NYC: Justin Bower, Panic Room, at Unix Gallery. Opens Thursday at 6pm, in Chelsea. L.A.: See the Light: Photography, Perception, Cognition — The Marjorie and Leonard Vernon Collection, at LACMA. Opens Sunday. L.A.: Nikki Pressley, Elsewhere, In Another Form, at Charlie James Gallery. Opens Saturday at 7pm, in Chinatown. L.A.: JEFF&GORDON, Temporarily Embarrassed, in the West Gallery, at Cal State Northridge. Opens Saturday at 5pm, in the Valley. Artist talk Monday at 6pm. The Getty currently has a show devoted to Ruscha’s early photography. (You’ve got one more week before the show closes!) And my profile of Ruscha is now up at NPR. It includes 1933 Ford pick-ups and vintage audio of the Doors playing at the Whiskey A Go Go. Please tune in!